These days, cruises are getting to be like everything else. From cough drops to crackers, there are almost too many choices, and it’s true of cruises as well. You might feel like going on a cruise would be a perfect getaway for you and your spouse but finding the right one can be more difficult than its worth. Luckily, if you cut down your options by deciding where you want to take your cruise, when you want to take it, and on what cruise line, you probably won’t have too many options to choose from and you can pick the best cruise for you. Part of the reason that there can be too many choices is that there are a lot of options about where you can go on your cruise. Each cruise line sends cruises all over the world. Think of this as a good thing, not something that is going to slow down your decision-making process. All you need to do is sit down and take an hour or two and just decide where you want to go. The best way to make a decision is to think about what you already love to do and then tailor your cruise destination to match those desires or hobbies. If being on the beach on a beautiful sunny day is your idea of heaven, make sure you take a Caribbean Cruise. If you like being outdoors, you might enjoy one of the northwest coast (Alaska Cruises) cruises that sail all the way up to Alaska. If you’re a history buff, take a European or Mediterranean Cruise. The destinations are what differentiate cruises; each ship is really very similar while you’re sailing. Deciding when to take your cruise can be almost as harrowing as where to take it. 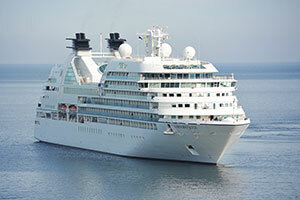 Most cruise lines offer cruises year around. Some times of the year are very popular but you can get great discounts at other times during the year. For instance, winter vacation may sound like a great time to take a cruise. You can get down to the Caribbean sun and take a break from school or work during the holidays. On the other hand, you might be able to save as much as 40% on cruises if you go in the October or November time frame. This is an unpopular time to take a cruise and often costs less. It can sometimes seem like there are almost as many cruise lines as cruises. Different cruise lines usually attract different types of people. Some attract families, some attract couples, and some attract singles. Make sure you know what types of people usually use any given cruise line. There are a number of websites that offer reviews of different vacation possibilities, and you should be able to find this information on those. Once you’ve narrowed down the possibilities in these three categories, you should be left with just a few cruises that you will undoubtedly enjoy.